HOBOKEN, N.J. (September 12, 2018) - Continuing its commitment to help inspire people with bleeding disorders to challenge the limitations of chronic illness, Octapharma USA has become the exclusive sponsor of "Leading X San Juan Islands." Octapharma's grant to GutMonkey, an experiential education company based in Portland, Oregon, will provide a life-changing experience for 10 people with Hemophilia A through a week-long, water-based adventure, entirely focused on improving patient confidence in managing their bleeding disorder. "We are beyond thrilled to be partnering with Octapharma to provide the Leading X experience to the bleeding disorder community," said Pat Torrey, Founder & CEO of GutMonkey. "As outdoor enthusiasts and professionals, all of us working at GutMonkey have personally witnessed the deep positive impact that outdoor adventure programs have on those who get to share in such a unique experience and are certain that this endeavor will dramatically enhance participants' lives. We are not only grateful for Octapharma's support, but we also truly believe that Octapharma is the best collaborative partner for bringing the Leading X expedition program to the bleeding disorder community." Torrey pointed to Octapharma's recent sponsorship of Chris Bombardier in his successful quest earlier this year to become the first Hemophiliac to climb the Seven Summits, the highest peak on each continent, including Mount Everest and Mount Vinson. Octapharma's partnership with the mountain climber also includes sponsorship of Bombardier Blood, a documentary that will tell his inspirational story. "Octapharma's vision to expand what is possible for the bleeding disorders community is apparent and admirable," said Bombardier, a Program Facilitator with GutMonkey. "Not only did they see and believe that climbing Mount Everest with a bleeding disorder is possible, they have now committed to helping others expand their vision of what is possible as well. By partnering with GutMonkey on Leading X, Octapharma is continuing their commitment to changing how the bleeding disorder community thinks about their conditions and expanding peoples' mindset around what is possible." Octapharma USA President Flemming Nielsen noted that the company's support of outdoor adventure, patient education and amazing achievements such as Bombardier's fits well with its corporate mission. "Octapharma is determined to help people in the bleeding disorder community enjoy lives that are not limited by Hemophilia and Von Willebrand Disease," Nielsen said. "Octapharma believes that if patients receive the medical therapies and services they need, the words 'I can't' may just be eliminated from their vocabulary. We are constantly looking for innovative ways to inspire patients to achieve their personal Everest and are thankful for this exciting opportunity to partner with GutMonkey on Leading X." Participants in Leading X San Juan Islands, Washington, to be held September 16 - 22, 2018, will learn the fundamentals of traveling by boat, navigation, and camping while gaining leadership skills, developing personal responsibility, and forming community bonds that may last a lifetime. 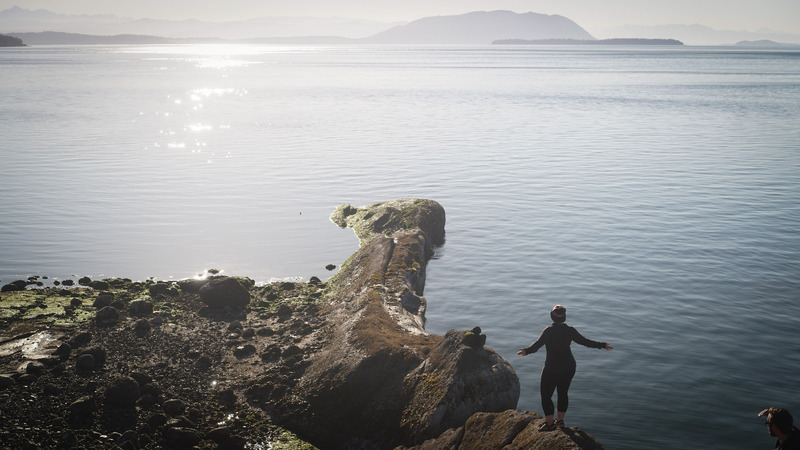 The 200 rocky, forested San Juan Islands are nestled between the cities of Seattle, Vancouver, and Victoria, British Columbia, in the waterways of Puget Sound, Strait of Juan de Fuca, and Rasario Strait. These pristine waters host more than 85 resident orca whales, the second-largest bald eagle breeding population in the continental United States and countless treasured wildlife. For more information, please visit www.gutmonkey.com/leadingx. Download a video on Leading X at https://www.prnewswire.com/news-releases/octapharma-usa-partners-with-gutmonkey-to-provide-hemophilia-patients-life-changing-adventure-experience-300711198.html.